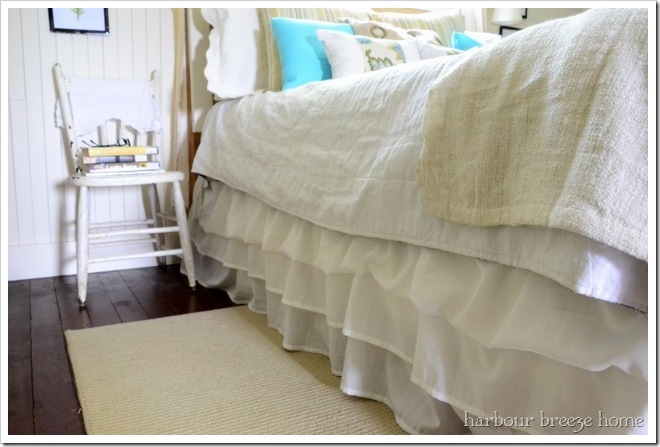 In this article: Learn how to make a no sew ruffled bedskirt with 3 Ikea sheets! During one of my foray’s in Ikea’s “as is” department, I picked up 4 of these for $2.00 each. I didn’t know at the time what they really were. 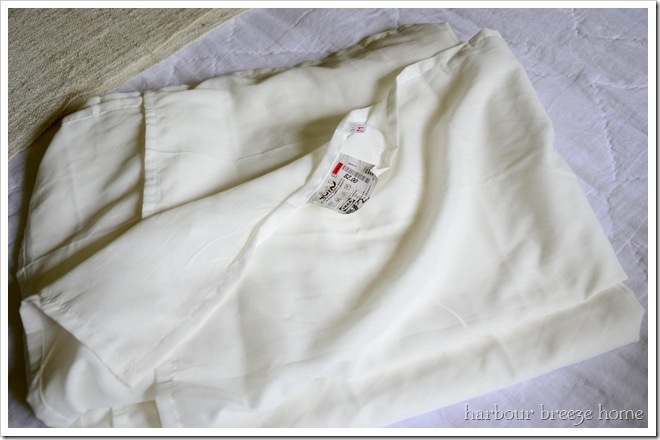 The fabric is quite sheer, yet “twin” is written on it. I’m assuming it is a twin sheet, but I picked them up thinking they could possibly be sewn into curtains. 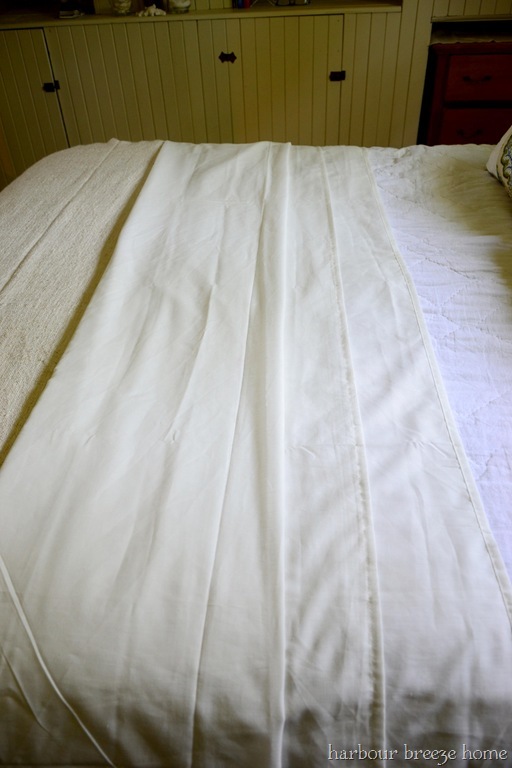 Instead, they became my no sew ruffled bed skirt – in about 2 minutes flat. 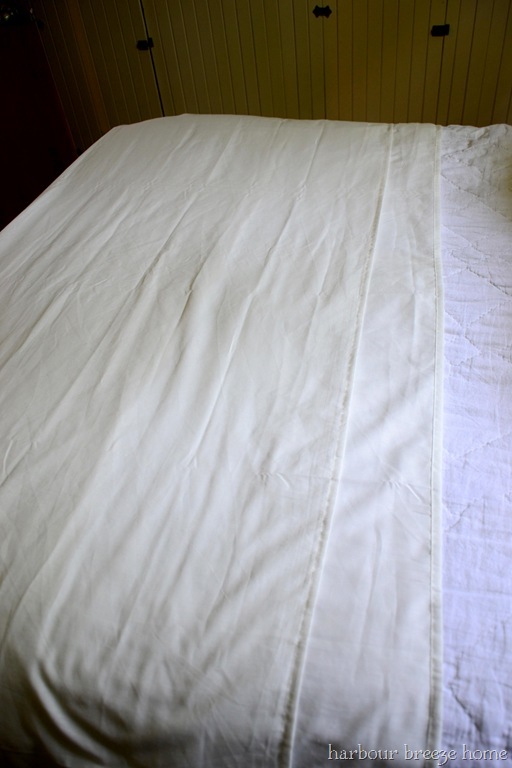 Lay one sheet on the bed and fold it together so the top hem is 6 inches above the bottom hem. Folded it down again so that the folded edge becomes about 6 inches above the second hemmed area. It will become a simulated the look of three “ruffle” areas. 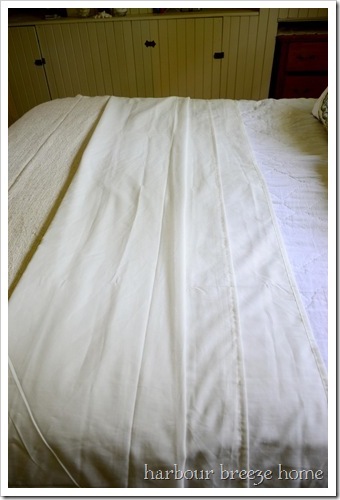 Carefully lift the folded sheet up by the folded edge, and stuffed it under the mattress on one side. 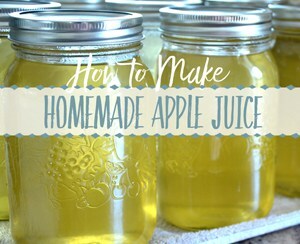 Adjust it as necessary so it becomes evenly ruffled and the right length. Repeat the same steps for the other side of the bed and the foot of the bed. 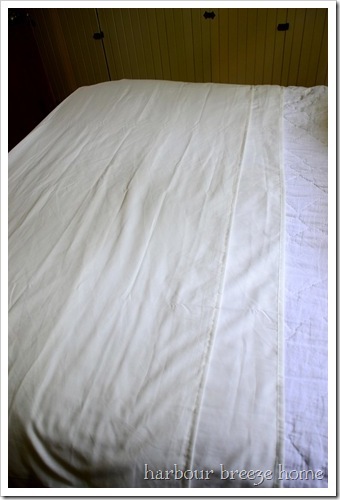 You will use three sheets in total ~one on each side and one on the foot end. 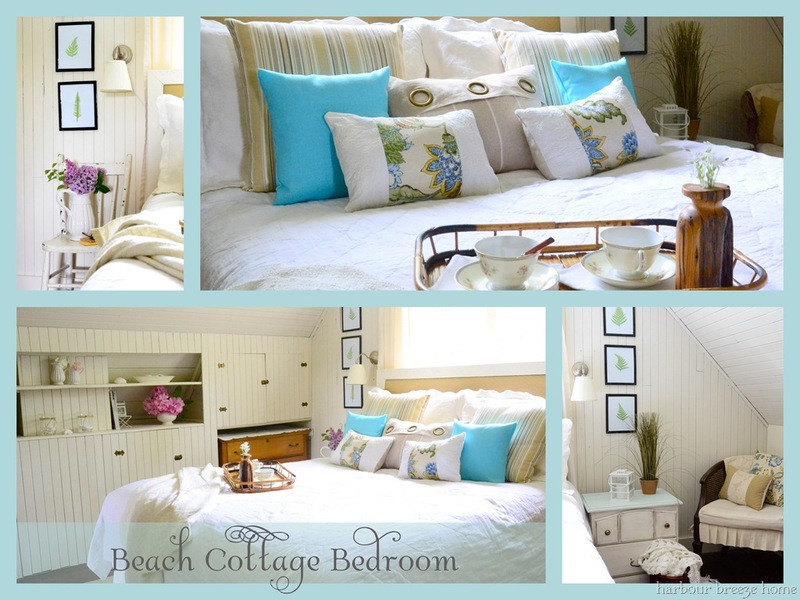 Your bedroom is gorgeous! I’ve pinned it for inspiration for my future bedroom. 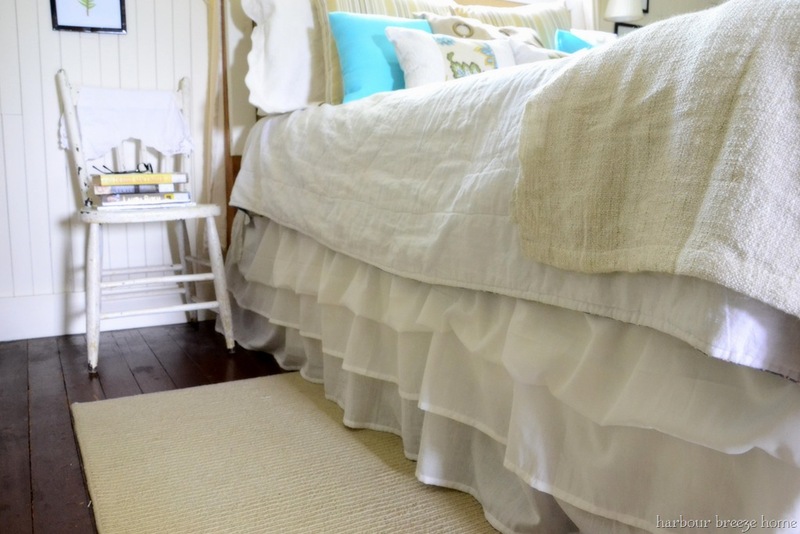 By the way, I bought a beautiful ruffled bedskirt on Overstock.com for about $30. You should get a 5th sheet and sew that and the 4th sheet together. 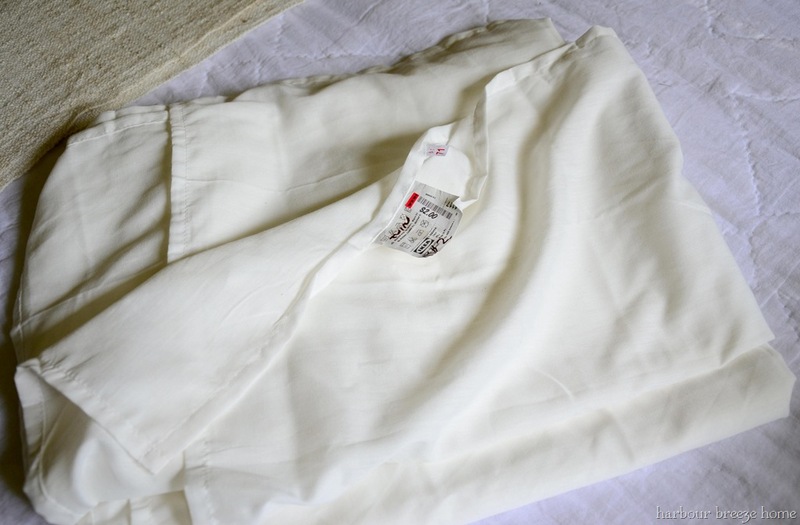 Then, sew the three sides to that and you won’t have to worry about tucking it in anymore! If you hadn’t told me I never would have guessed how you did that. Amazing! Your MB came out so lovely and comfy. 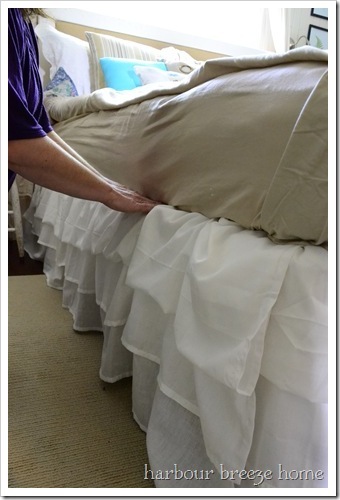 Your bed skirt turned out so pretty! 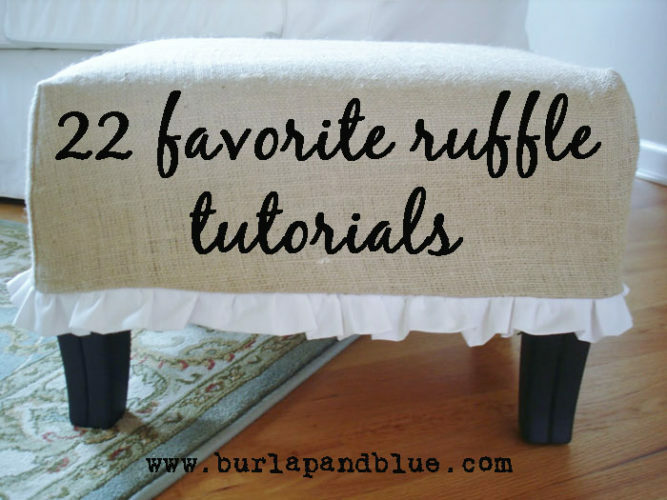 I wasn’t so sure about ruffles before either but now I’m slowly changing my mind! 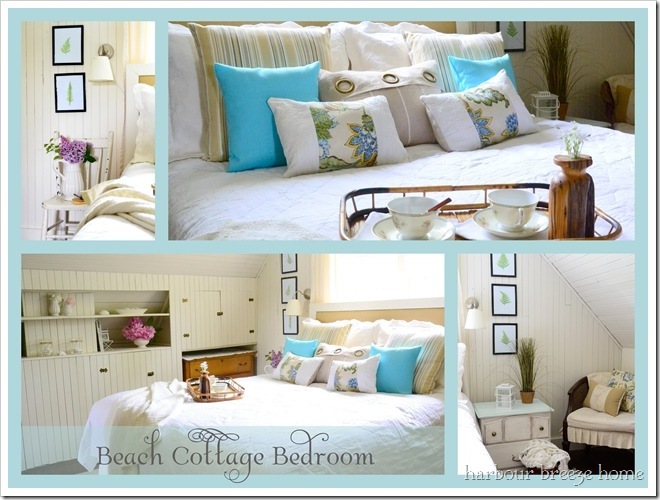 I have this linked to my bed skirts post as well today, nice job! You have just saved me about $50! 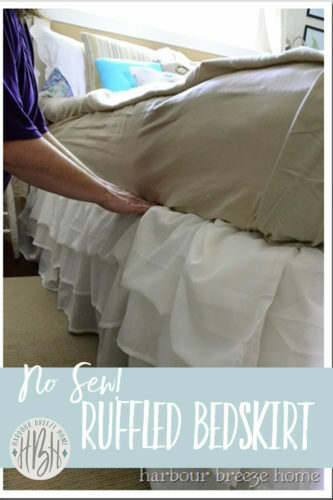 Seriously, I have been scouring the internet for a white ruffled bedskirt for days now to find the least expensive one and once again tonight I was on my mission and I was fortunate to find you!!! Love what you did! 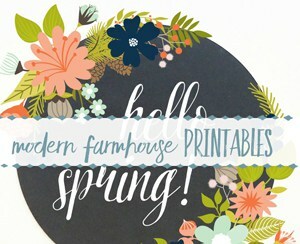 So easy and so gorgeous. Thank you so much. Ingenious and so pretty. thanks for sharing. 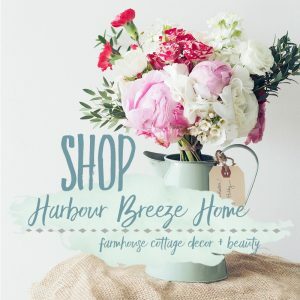 I am repinning it and I am a new follower. Really nice job. Very pretty??? ?